New York - A recent U.S. House Resolution acknowledges long-standing ties between the United States and Morocco, criticizes Iran for meddling in North Africa, and expresses support for Morocco’s autonomy plan - but does not propose any action steps. 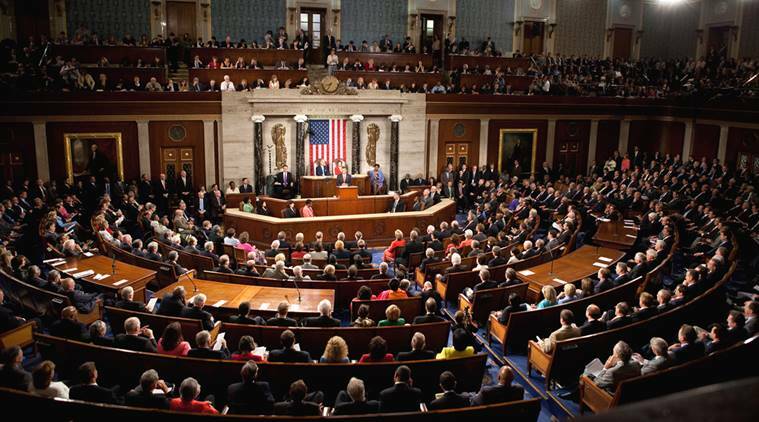 New York – A recent U.S. House Resolution acknowledges long-standing ties between the United States and Morocco, criticizes Iran for meddling in North Africa, and expresses support for Morocco’s autonomy plan – but does not propose any action steps. A proposed bipartisan resolution originating in the House and reaffirming the relationship between the United States and Morocco, recognizes that Morocco was the first country which formally recognized the United States. Congressman Joe Wilson ( R – SC), on his website, condemned the recent actions by the separatist group Polisario, which threaten the security and stability of Morocco and the region. Additionally, in a first such effort, the proposed resolution criticized Iran for its support, financial or otherwise, of terrorist organizations such as Hezbollah, and their destabilizing actions in North Africa, which challenge national security objectives of the United States. The resolution also reaffirmed US Congress support for Morocco’s autonomy plan. 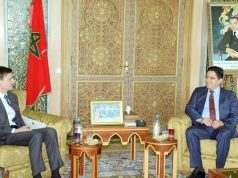 It is an important first step towards recognizing and addressing the threat of Hezbollah’s joint efforts with the separatist group Polisario, which lead Morocco to break diplomatic relations with Iran in May. However, by itself, the resolution is not efficient. To have any sort of binding effect, the resolution should be joint (i.e. someone in the Senate should pick it up and propose to that body); a single-house resolution amounts to no more than a “sense of Congress”. In other words, it has no binding legal effect of any kind. The current version of the resolution raises awareness of this issue, which is important to US security and its alliance with African countries affected by Hezbollah’s and Iran’s aggression; however, it does little to address the situation. A more helpful response from Congress would include provisions for oversight of Iran’s and Hezbollah’s activities in North Africa, appropriate expenditures related to the defense of US national security interests in the region, and joint counter-terrorism and counter extremism operations and activities with Morocco, beyond joint training sessions and weapons sales. The text of the resolution should make clear that the intent of the bill is not to merely reassure an old ally, but an essential step to protecting US interest in regional stability in Africa and in curbing Iran’s global aggression, particularly where sanctions alone are proving insufficient. Hezbollah controlled entities in North Africa and elsewhere should be tracked and designated for sanctions. Any group, individual, or organization that continues to do business with Iran or acts as its proxy group should likewise be penalized for financing and/or supporting terrorism, in Africa just as much as in the Middle East or Europe. For that reason, the US State Department and Treasury should work closely with the Moroccan government to identify such actors in North Africa and place them on the list of designated proxies, in a process similar to what is being done with other Hezbullah and Iran-affiliated proxy groups around the world. Polisario, which was caught training with Hezbollah and targeting allies, such as Morocco, should be the first candidate for such designation by the United States, and likewise, by any other states concerned with Iran’s support for international terrorism. Both the administration and Congress should adopt and uphold a zero-tolerance policy towards facilitating any of Iran’s threatening activities. The inspiration for this proposed resolution was a series of events over the past two years, which included Iranian intelligence officers, under diplomatic cover, utilizing the Iranian embassy in Algiers as a facilitation point for Hezbollah’s smuggling of heavy weaponry to Polisario training camps, as well as arranging training of Polisario fighters by members of Hezbollah forces and visits by Hezbollah officials to Polisario-controlled towns. The Moroccan government presented the Iranian Foreign Ministry with documented evidence of specific meetings, dates, names, and other details of collaboration. Hezbollah, Algeria, and Iran all denied involvement in these operations; however, members of Polisario leadership admitted to seeking contact with Hezbollah for possible collaboration. 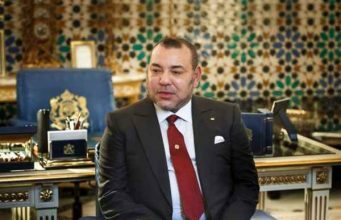 Morocco’s Foreign Minister reached out to the Trump administration in an effort to draw attention to Morocco’s interest in cooperation on security and defense issues in countering Iran’s aggressive military and ideological outreach in North Africa. However, there is little evidence that the Foreign Minister’s recent meeting with President Trump during the UN Week has led to any substantive change in the administration’s policy towards strengthening defense ties with Morocco. Congress, too, thus far has not prioritized reinforcing that relationship with more active measures. Securing North Africa from further destabilization is central to preventing proliferation of terrorist groups such as Al Qaeda and ISIS, and state-backed terrorist organizations such as Hezbollah, further across the continent and into Europe. The same organizations are looking to make inroads inside Morocco proper, although they have been unsuccessful so far. However, Hezbollah has succeeded in extending its presence from West Africa to the North, adopting and coordinating its actions with local separatist groups and other non-state actors. As Iran’s nascent empire appears to be crumbling in the Middle East, thanks, in part, to the presence of US troops, – with Iran having to pull back hundreds of thousands of its IRGC forces to deal with internal issues – tougher sanctions, domestic unrest, and greater pushback from the locals, Iran will likely seek to regroup its well-armed proxies in Lebanon, and restructure its organization in Africa, where US has been far less involved. The case of contacts between Hezbollah and Polisario is increasingly strong. Aside from the information presented to Iran by the Moroccan government, there are reportedly photos of a Polisario activist Nana Labbat al-Rasheed posing with Ali Fayyad, member of the Lebanese Parliament and one of the leaders of Hezbollah, as well as accounts by two British papers showing that it was not merely Iranian intelligence running the Hezbollah network through the Algiers embassy to train Polisario, but IRGC, a US-designated terrorist organization. Very soon afterwards, a plot by Iranian intelligence officers posing as diplomats to carry out a terrorist attack against the Iranian opposition in Europe was uncovered, implicating Iranian officials and likely IRGC agents in several European countries. Whether Morocco’s announcement of the break up with Iran was timed to curry favor with the United States or not, it is clear that Morocco takes the threats to its national sovereignty, and likewise has a history of cooperating with US on exposing Hezbollah financing to that region. To that end, though some have drawn conjectures that this development was aimed at bolstering Morocco’s positions at the UN (where 32 member states recognize the self-styled SADR as a “state”, but most of the leading powers, such as the United States do not), that scenario seems unlikely. 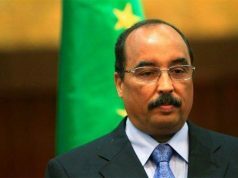 Although Morocco has strongly criticized Algeria’s role in backing Polisario’s self-proclaimed SADR as unhelpful, its push for the autonomy plan has been consistently backed by the United States, and particularly under the Trump administration there was little reason to believe that position would change radically. For one thing, Africa, for better or for worse, has simply not been a priority for the White House, which has focused its energies on fighting ISIS, particularly in Iraq and Syria, countering Iranian threats in the Middle East, and diffusing tensions with North Korea. Nevertheless, the White House recognizes that the autonomy plan would help secure Moroccan borders from external threats, and supports a stable and secure Morocco as a vital regional ally. Going to absurd lengths that risked tensions with the United States was never a plausible interpretation of Morocco’s dramatic fallout with Tehran. Furthermore, the allegations of a relationship between Hezbollah and Polisario go back years. 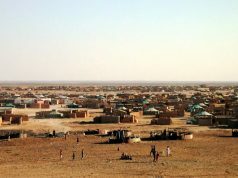 Lebanon-based Hezbollah has set up a “committee of support for the Sahrawi people” in 2016; that same year, Hezbollah officials visited the Tindouf camps in Algeria, an artificial structure that perpetuates the state of refugeedom for the people who have been goaded by Polisario into believing they could get independence and a functioning state. Instead, they are spending generations in slave-like conditions in refugee camps in Algeria. Iranian influence did not begin or end with weaponizing local separatists, however. Working through its proxy groups, Iran has also reached out to Moroccan Shiites, claiming to offer them protection from religious discrimination and tools of empowerment against the state. 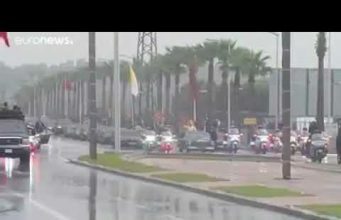 Iran has capitalized on the minority status of the Shia in Morocco to spread conspiratorial claims against the government. To that end, leaders of the Shi’a movement in Morocco demanded further evidence of Iran’s involvement with Polisario. There seems to be further evidence that Iran’s ideological outreach is aimed at bringing together its various would be proxies and destabilizing Morocco from within over various purported causes. One of the leaders took the Iranian line claiming that Morocco’s move was part of an influence campaign of foreign governments (meaning, first Saudi Arabia, and second, possibly, the United States), a claim that has been vehemently rejected by the Moroccan government, which at the time was already experiencing some tensions with Saudi Arabia over various political issues. This strategy parallels Iran’s strategy with its proxies elsewhere. It has weaponized the Houthi rebels in Yemen against the legitimate government, providing them with weaponry, training by elite Hezbollah units, as well as radicalizing them ideologically. Iran has also adopted the same approach with various Shi’s groups in West Africa, particularly Nigeria, as well as Shi’a militias in Iraq. Furthermore, Iran, through Hezbollah, has assisted Polisario with building a series of tunnels that would circumvent Morocco’s security wall. That strategy, too, has been a carbon copy of Hezbollah’s and Hamas’ approach towards their wars with Israel. Hezbollah’s direct experience of operations in Africa and elsewhere relies heavily on tunnels to circumvent direct attacks and to smuggle contraband and fighters. Because of the popularity of that approach in the Middle East, some skeptics of the effectiveness of air strikes on Iranian and Hezbollah positions in Syria believe that Iran and its proxies continue smuggling more sophisticated weaponry through a tunnel system in that country, while leaving a less important contingent on the surface to get hit as a distraction. Polisario, although not nearly as prominent as the Hezbollah body, may benefit from the same approach, looking to infiltrate Morocco through underground since the superiority of the Moroccan Royal Forces in direct combat is obvious. 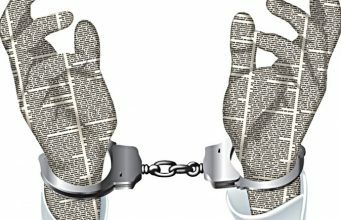 These disturbing developments have brought the administration’s attention to Iran’s destabilizing activities in Africa; even the National Security Adviser John Bolton, who, during his stint as the Ambassador to the United Nations under President George W. Bush, supported a referendum on Western Sahara’s independence, has reprioritized Iranian evangelism and weapons smuggling over what supporters of national sovereignty for states see as a false equivalence between competing but unequal claims. Furthermore, it increasingly appears that Algeria’s involvement in those operations has been more than merely providing a meeting place. 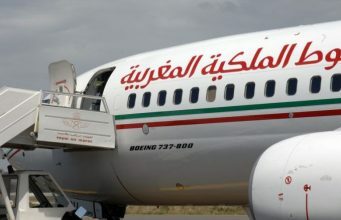 Moroccan Foreign Minister Nasser Bourita recently accused Algiers of providing material operational support and backing for Iran’s outreach to Polisario. While the evidence for these claims is yet to be revealed, if accurate, Algeria’s role in facilitating Iranian operations in North Africa should be of great concern to the United States. Algeria has grown particularly close to Iran in recent years, has openly supported its nuclear research program, and itself has positioned itself for potential research in that direction. 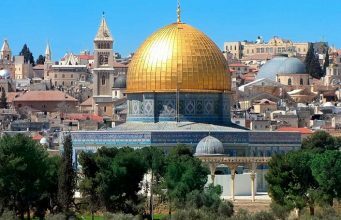 It has also housed Palestinian scientists who died under mysterious circumstances and who may have been affiliated with terrorist organizations or facilitated illicit nuclear research for Iran. All these developments ultimately point to Iran’s increasing threat to the stability of North Africa, and a need for a more proactive foreign policy towards that region by the United States. The United States has been vocally supportive of Morocco’s autonomy plan, as well as national sovereignty, both at the UN and in more recent State Department statements. 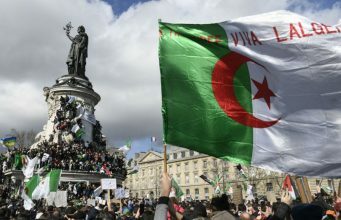 However, these comments have done little to deter Algeria’s backing of Polisario, Polisario’s bellicose activities, or Iran’s and Hezbullah’s ideological and military meddling. Paying lip service to Morocco’s national sovereignty will do nothing to curb Iran’s underhanded ideological influence, nor stop terrorists from taking advantage of ongoing tensions and radicalized movements to flame factionalism and further social divisions inside the country. There needs to be a comprehensive reorientation towards combating Iran’s infiltration of Africa, particularly North Africa, which holds key to international waterways and access to the Middle East, as well as Europe. Confronting and countering Iranian operations in the region should be a central part of the Iran Group, a focus group created by Secretary Pompeo in the State Department. A holistic outlook on the regime’s illegal and threatening activities would not ignore entire continents just because they are out of the way and in part underdeveloped. Rather, the US government should understand that vacuum of power breeds opportunities for malefactors, who use the cover of darkness and disinterest to regroup, finance their other operations, and go after the lower-hanging fruit. US-imposed sanctions may not work well if Iran finds corruption and lack of oversight and enforcement in African countries a welcome respite from its troubles with Europe. Exacerbating border problems with ISIS and Al Qaeda in the Western Sahara area would create unimaginable havoc, which Tehran would gladly exploit. 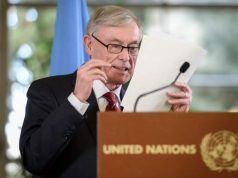 Allowing Polisario and the like any claim to legitimacy is tantamount to considering the Houthis or Hamas legitimate representatives of Yemenis or the Palestinian people when these groups both engage in brutally repressive measures against their own populations and take money from Iran to wreak havoc and threaten their adversaries civilians with extreme violence. Whatever the former grievances of its constituencies, it is clear that by accepting “assistance” from a terrorist organization, Polisario lost all claims to legitimate representation. 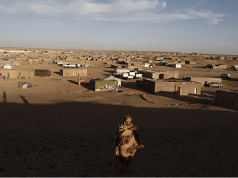 Allowing that body to represent the Sahrawis and to create any entity, autonomous or independent, at this point, would mean creating a permanent state of tyranny for anyone living under its control and a permanent state of threat and chaos for Morocco. 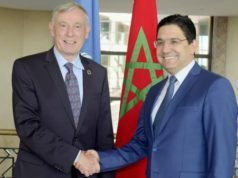 For that reason, the United States should lead the charge to strengthen global cooperation with Morocco to address Iranian and Hezbollah threat, and in terms of the United Nations, lead the movement to follow through with Morocco’s autonomy plan and the delegitimization of Polisario as representatives of the beneficiaries of that plan. Polisario should be designated a terrorist group, no different from Hezbollah, and dismantled, and its prisoners should be liberated to choose whether to integrate with Morocco or to select a reasonable and functional government that will give them opportunities for a decent life in an economy geared towards development, not destruction. US should also examine the role of its so-called allies such as Algeria in creating a welcoming environment for Iran to proceed with its illicit and hegemonic activities. 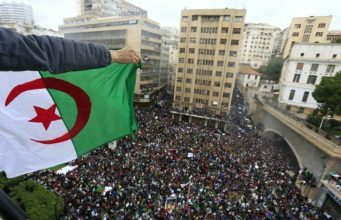 Algerian government should no more be able to get away with facilitating terrorism than any other country. Any state that supports and gives comfort to US enemies and helps radicalism cannot be reasonably considered an ally and should be held accountable and forced to choose.